I hardly ever get clients that only want to lose a few kilos but I wish I did. Most wait until they are 10kg, 20kg or 30kg heavier than they want to be before booking an appointment. Seeing a dietitian can mean the difference between getting to whatever weight you want to be and staying there, and gaining more weight than you lost. So what is it about dieting that is so wrong? Weight loss is actually not too hard in the beginning. Dieting to reach a goal is challenging but quite a few of us actually relish the challenge (initially at least!) and having something to aim for provides focus and motivation at the start. It’s even rather exciting embarking on a new way of eating and can be refreshing, and some people even feel a sense of relief that they are now going to get to their desired weight. Then when weight begins to drop off and zipping up the trousers is a bit easier and going to the gym feels less daunting, confidence can grow and this can be hugely motivating. But it’s hard work. At first you don’t mind because it’s fresh and novel, but after a while, it can get boring and anti-social. It’s hard to resist temptation for the third or fourth week in a row when there’s birthday cake at the office. You carry on but it’s boring and miserable. And then weight loss slows down and it’s even harder to keep the motivation up. Even before the goal is reached (bear in mind also that it may be an unrealistic goal) the diet becomes less of a priority and before long weight is creeping back up. And then it starts all over again and people become trapped in the yo-yo cycle, which by the way has been linked with increased risk of cardiovascular disease as well as feelings of failure and low self-esteem. But carrying too much weight can be unhealthy too, so we may need to do something about it. First of all it’s important to realise that being over-weight is not fundamentally unhealthy. You can be healthy (on unhealthy) at any size. My advice is to start by looking at your lifestyle. How are you eating? Are you prioritizing sleep? Do you get any exercise? These things are the most important factors for health and wellbeing. If there’s room for improvement in any of these areas, go and see a professional to help you come up with a realistic plan that will help you achieve your goals and maintain them. The earlier you do this the better. Try not to wait until you are completely burned out or feeling unwell. A dietitian can also help you understand what a healthy way to eat is and to figure out why you gained weight in the first place. They can help you to plan for the future so it doesn’t happen again, preventing the rebound weight gain after weight loss. And when you work with a dietitian you can pop back every so often to make sure you’re still doing well and if not they can support you through getting back on track. This is in stark contrast to “a diet”. This is learning how to eat well and if you do this, you will reach a healthy weight for your body. 2. Ditch the “dieting”. We know from the research carried out by UCLA that diets don’t work for most people in the long-term. And do not pick up the latest fad-diet book whatever you do. They are even less successful long-term. 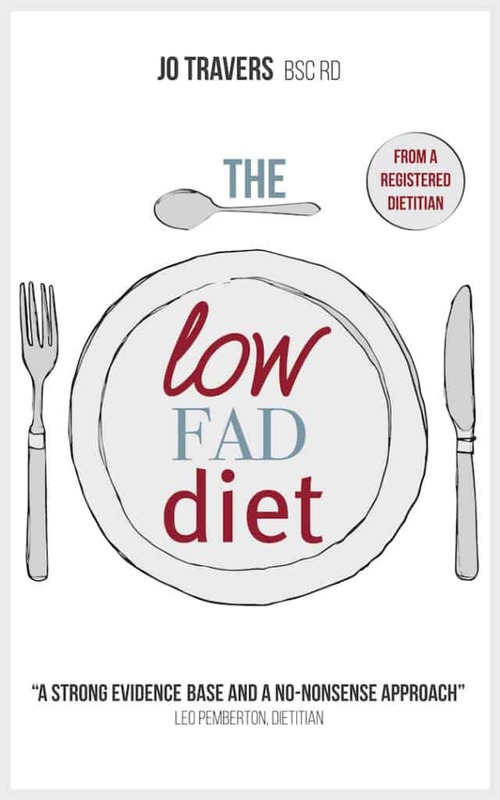 However, you could get yourself a copy of The Low-Fad Diet, which is the opposite of a fad diet. In fact, it isn’t a diet at all just how to eat well. 3. 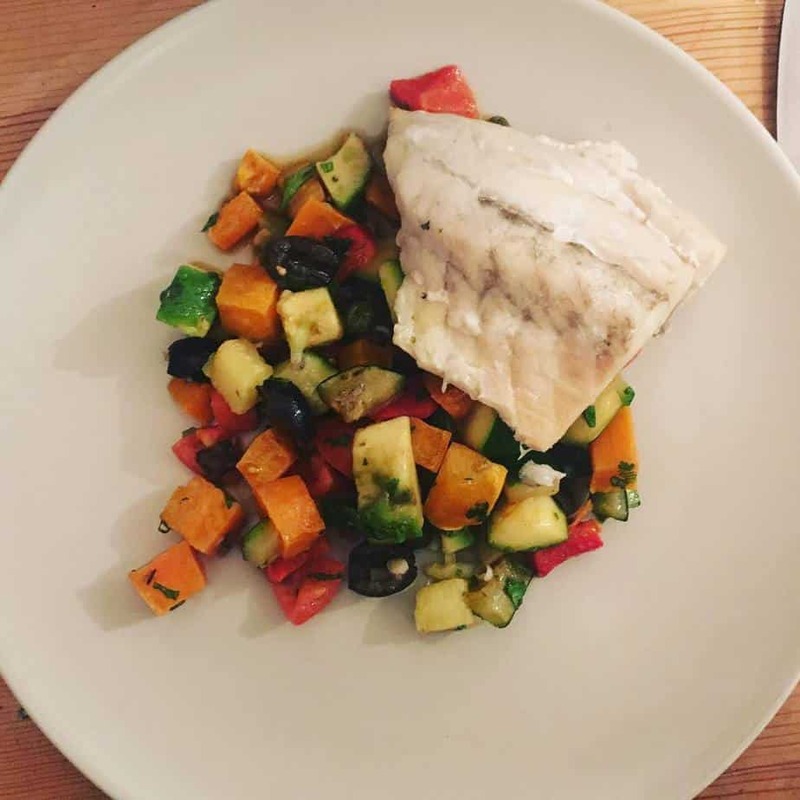 If there is room for improvement in how you feel or how you eat, see a dietitian to help you make a personalised plan that works for you and fits in with your lifestyle rather than you trying to work around a complicated, restrictive diet plan. And remember, doing it sooner rather than later means you benefit for a longer period. Now get started! I’d wish you luck but if you have support from a professional, you won’t need it.